Julian Rosefeldt is one of the most powerful artists working at the intersection of narrative film and complex filmic installation. Since the late 1990s, his suggestive imagery—clearly hinting at the baroque tradition of 'theatrum mundi'—is dealing with the cinematographic play of appearance and reality and a life in continuous repetition. On another level, almost all of his art works refer to the idea of the tableau vivant and its animated stillness. 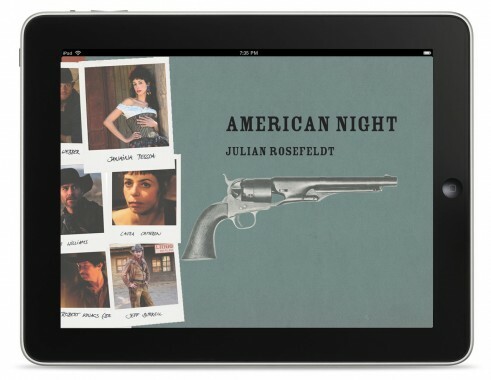 This lavish digital publication book is based on Julian Rosefeldt’s opulent 5-channel-film-installation American Night (2009), in which he reflects on America's founding myth and its hegemonic foreign policies through the genre of the Western. This digital publication contains texts by Stephan Berg, Lorenzo Giusti and Arabella Natalini as well as clips from the piece by Julian Rosefeldt and from a documentation by Hans-Peter Schwerfel. Julian Rosefeldt: American Night is published by Kunstmuseum Bonn, in cooperation with EX3 Centro per l'Arte Contemporanea in Florence; it is edited by Stephan Berg, Lorenzo Giusti and Arabella Natalini. American Night is also available as printed book. 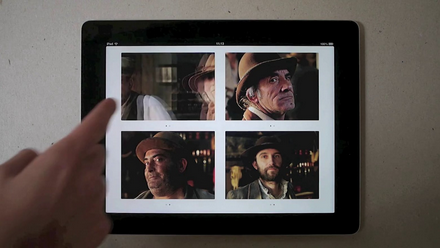 Julian Rosefeldt E-book from The Green Box on Vimeo.